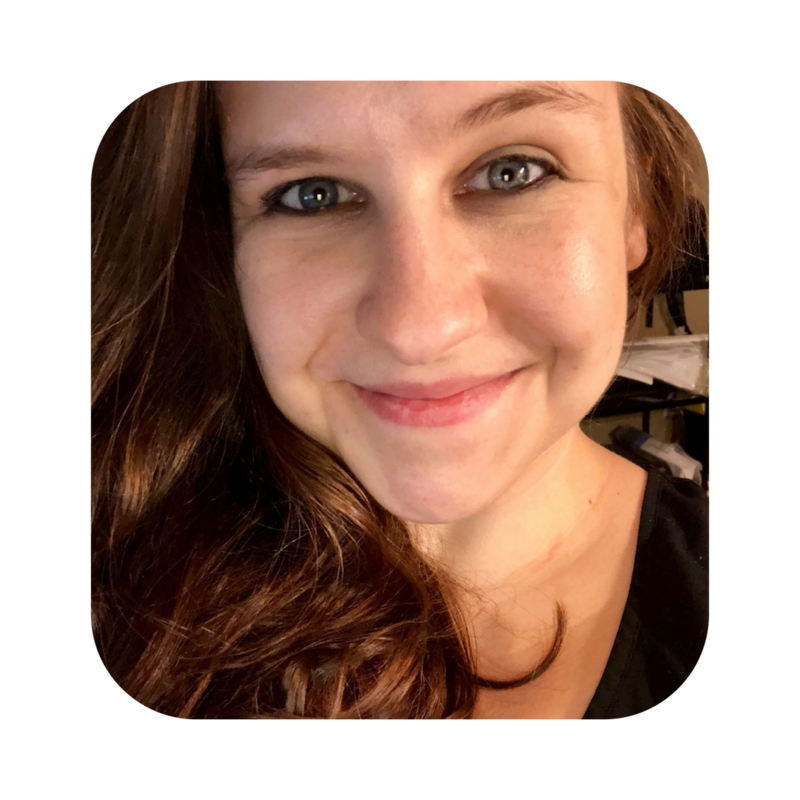 This post was originally written in March of 2017 when I found myself moving while pregnant. We hope you enjoy this post from the archives, and please be sure to leave a comment below! This week, my boyfriend and I will be moving from Seattle, Washington to Las Vegas, Nevada! While this is definitely an exciting time in our lives, it has involved a lot of planning. 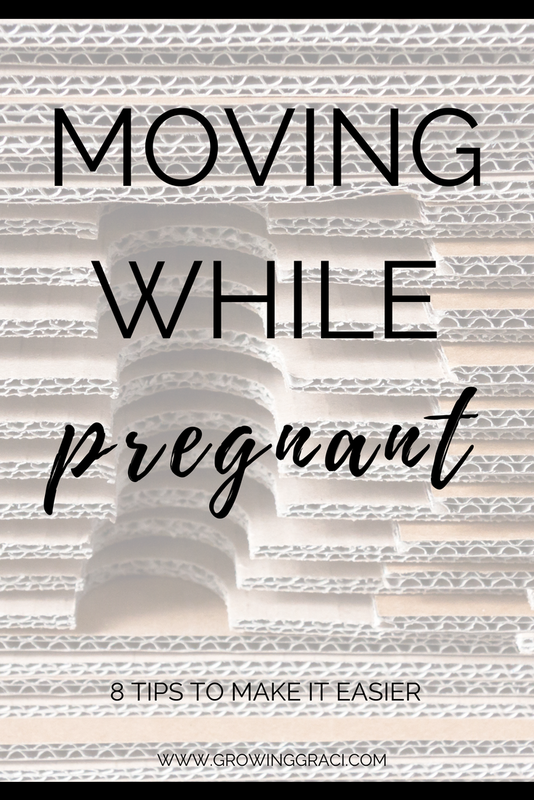 Although I’ve moved a gazillion times in my adult life, this is the first time that I’m moving while pregnant, and I’ve definitely learned that it is a whole different ball game. Below I’ve come up with a list of the top 8 tips I’ve come up with for other mommas who might find themselves moving in the midst of their pregnancy. I’ve always liked doing everything on my own, but I’ve always been a big fan of a little moving help from loved ones. My poor mother has helped pack up more of my apartments than I can even count at this point. 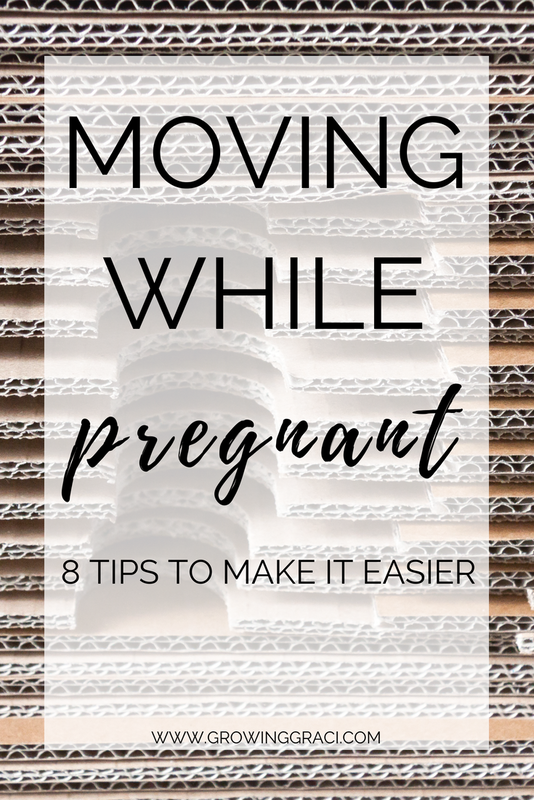 However, when you’re pregnant, moving is about a million times harder than when you’re not pregnant, and accepting help from loved ones is majorly important. On both ends of our move, we have loved ones helping us get our junk on the truck and off the truck. I couldn’t be more thankful for the family members and other loved ones helping us out! If you are in the position of moving and you’re pregnant, don’t feel bad about letting people help you. They actually want to help you. Just remember that! Plus, when you’re not pregnant, you can always help return the favor! In my past, I’ve been able to pack an apartment in a day with help from others. Now, at 25 weeks pregnant, every single moving effort has taken at least twice as long with a ton of accompanying pain. Leaning over to pack a box or standing for a long period of time is tough for me right now. The thing about moving when you’re pregnant is that you should realistically start packing as soon as you know you’re moving. For me, one thing that I was able to start packing right away was my pre-pregnancy clothes. I used the awesome vacuum seal bags and shrink all those old clothes up! Now, they are all ready to move and they’ll stay nice and clean until I’m ready to unpack on the other end. I think this is the most annoying part of moving when you’re pregnant. Moving is already an experience laden with emotion. But, when you’re also pregnant, the emotions reach a new, stupider level. There have been days when I’ve been SO excited about moving to Las Vegas. Then, there are literally days when I cry because I’m going to miss the paint color and the floors that I picked out for my condo in Seattle. Ye gods. The best advice that I have for the emotional rollercoaster of moving is to lean into it. Just accept that you’re going to cry. Just get it over with. Listen to a sad song and cry your eyes out. Then move on. Think about all your new adventures ahead and the fact that you’re moving to a brand new, special place. A place where your baby will be born. I’ve been in pain for weeks in my pregnancy. But, I’ve also felt bad leaving the majority of the packing burden on my boyfriend. So, I try to help my boyfriend by packing all the things that I can pack while sitting down. Not sure what you could pack sitting down? Think about any of the lower cabinets in your bathroom(s), kitchen or nightstands. If you need to pack something that isn’t reachable from the ground, try taking a chair around the house to sit on. Before you get too far into the packing process, you should talk to your doctor about any limitations that you should be taking into consideration. For example, my doctor recommended that at my stage of pregnancy that I shouldn’t try to lift anything over 25 pounds. However, depending on your pregnancy and medical history your doctor may not want you to lift anything! It’s important that you talk to your doctor to protect yourself and your baby. While this one isn’t ideal, I feel like it is worth noting that you can always hire people to help you if you don’t have the opportunity to get loved ones to help you out for free. Depending on your situation, you may not have family or friends where you are moving from or moving to. Or, you may just need even more hands to get the job done. You can hire people to help with the heavy lifting or the cleaning, depending on what you need. This tip comes from my boyfriend who has been beyond incredible during our move. A few weeks ago, he made a spreadsheet of all the tasks that needed to be completed before we started our 20-hour drive from Seattle to Las Vegas. In the spreadsheet, my boyfriend listed each day on a separate row, then any tasks that needed to be completed that day were placed in individual columns. This made an amazing grid that helped us stay accountable to get things done. Included in the spreadsheet were tasks like turning utilities on and off, rooms to be packed, things to be cleaned and any other tasks that we had to be sure were completed. This one is super important. As soon as we knew we’d be moving, we let our OBGYN know. Once we got to our final appointment, we went over any information that we’d need to know about finding care in our new state, and last tips about what to do if we couldn’t find a new provider right away. It was really comforting to discuss our move with our doctor. He let us know that if we had any questions (even after moving) that we were still welcome to give him a call. Did you move while pregnant? I’d love to hear about your experiences below! These are some great tips! During my first pregnancy we moved from an apartment to a house in a different part of the city, and it was a lot. I definitely can say that having people help is especially important, as you don’t want to overdo it. I also marked the top, side, and front of every box in dark permanent marker, so I could keep track of what was where. It’s a lot to try to unpack everything, so staying organized can help you to do what’s most important without doing too much at once. You sound like you were super organized with your move! I’m hoping to be far more organized during our next move than I was this last time! Thanks so much for leaving a comment! I’m off to check out your website now!